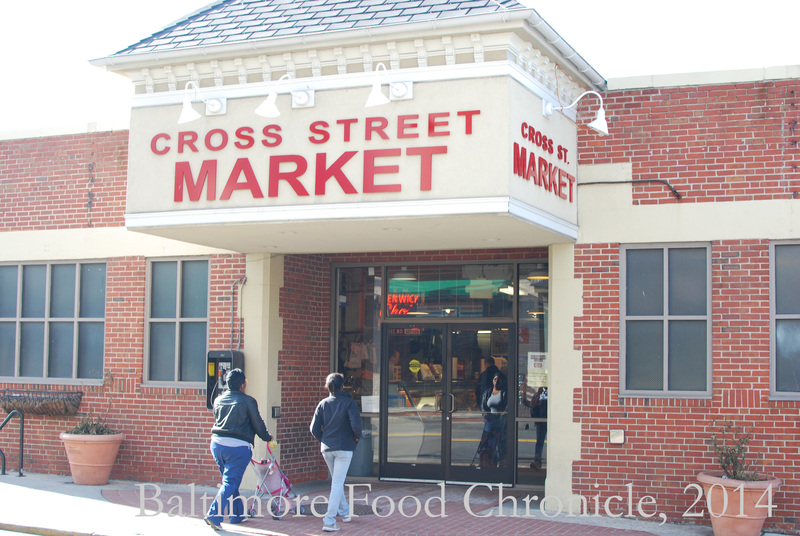 Cross Street Market is one of Baltimore’s six public markets, a unique characteristic of the city. 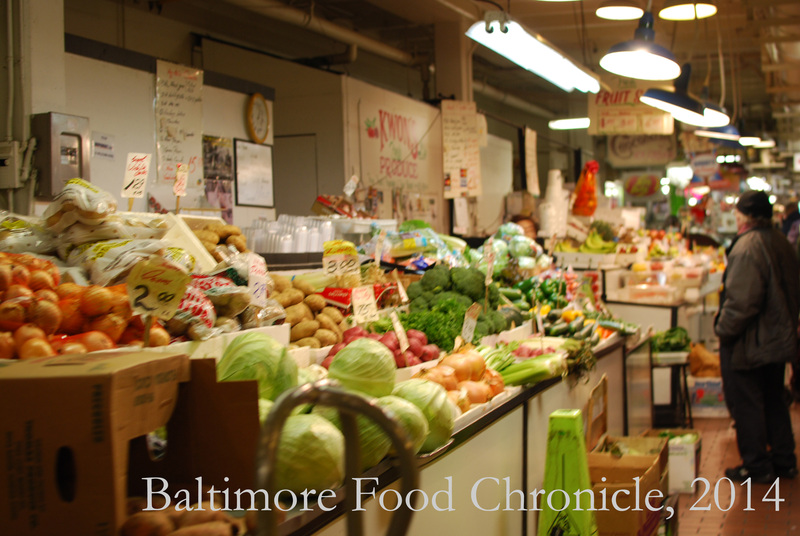 Located in Federal Hill and established in 1846, this market is a smaller than Lexington Market but similar in size and offerings to it’s counterpart by Hopkins, Northeast Market. 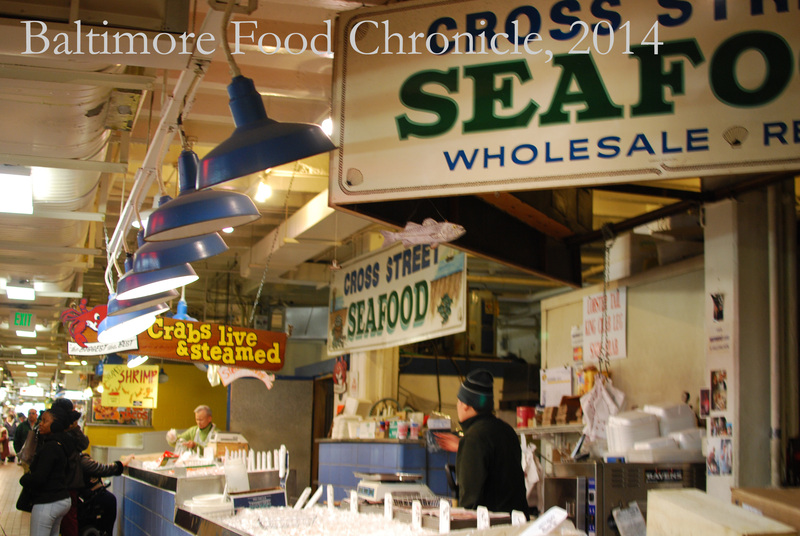 Before moving back home to Baltimore I had no idea that these public markets were unique to the city, a throwback to the old style cities that has since disappeared from most others. 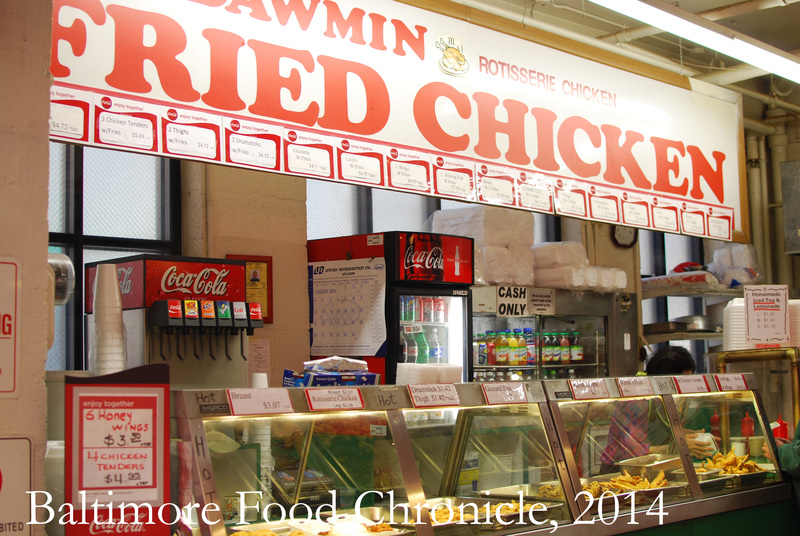 And since it is me, and since it is Baltimore, and since I’m trying to sample and write about Baltimore foods, I of course had to get my chicken wings and western fries. 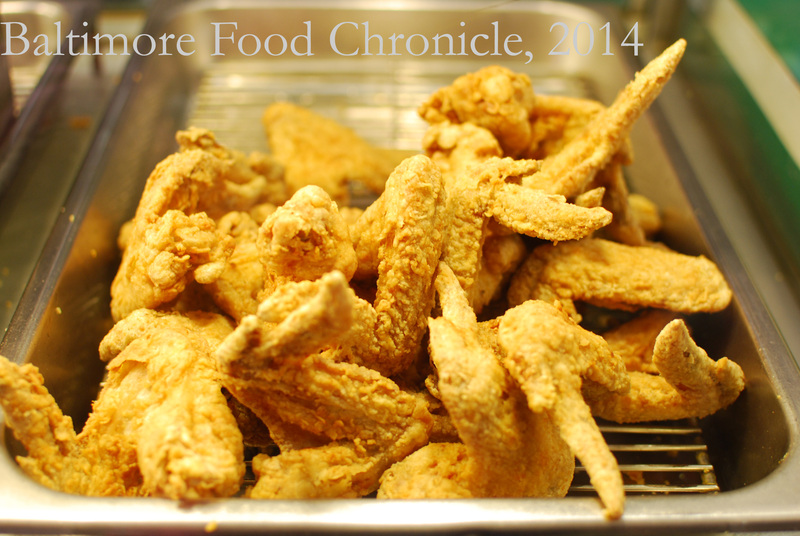 Fried wings, along with Chinese or Japanese food happen to exist in all of our markets which is strange to me because as a Filipino American born and raised in Baltimore, I myself rarely associate Asians with our inner city. 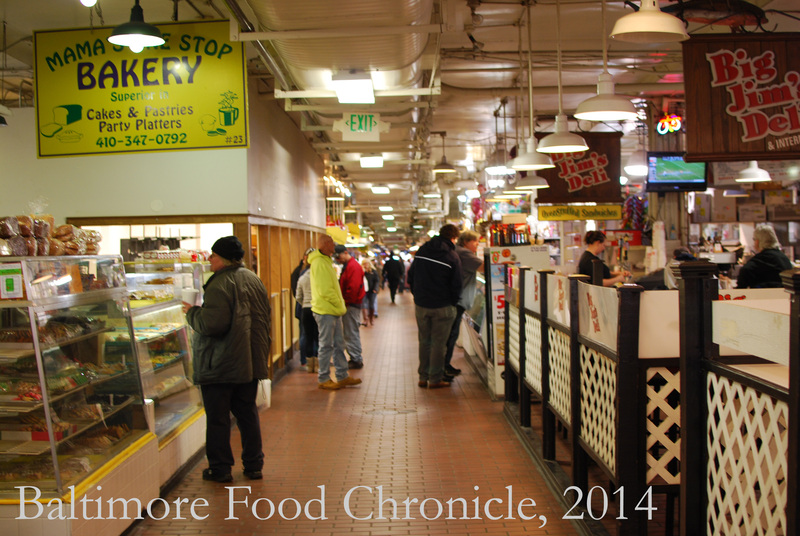 Even more a mirror of the times is the fact that many of the stalls in these markets is owned or operated by Chinese or Korean American immigrants, with many others operated by Latino or European immigrants. 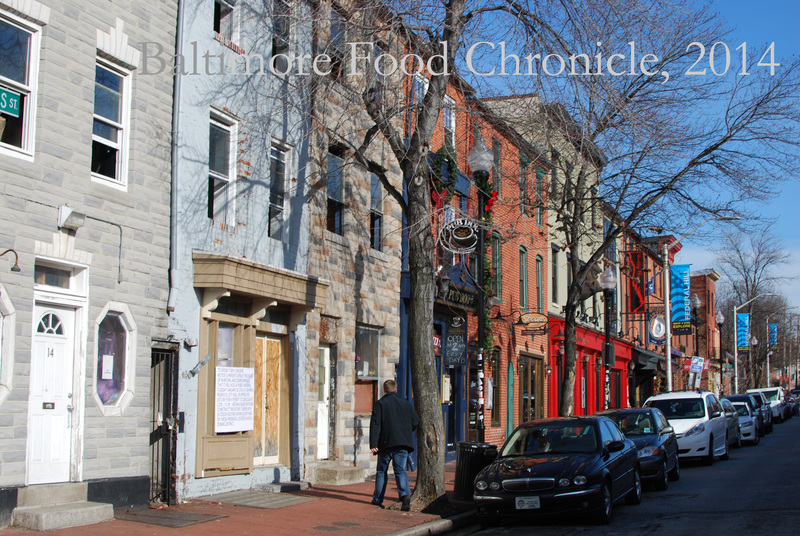 Fitting, I believe to match the tone of how these early cities and subsequent markets started in the first place, family run small businesses just trying to make it in the New World. 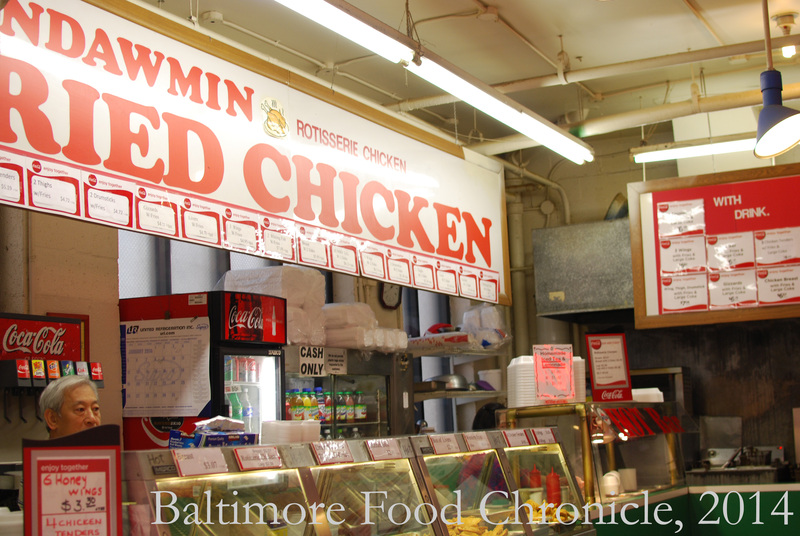 I got my wings from Mondawmin Fried Chicken, an Asian run stall named after a mostly Black community of the city (which ironically is named after the estate of a wealthy White man from the 1800’s who named his plantation after the Indian corn god). They were good and crispy, oily of course with the standard western fries. 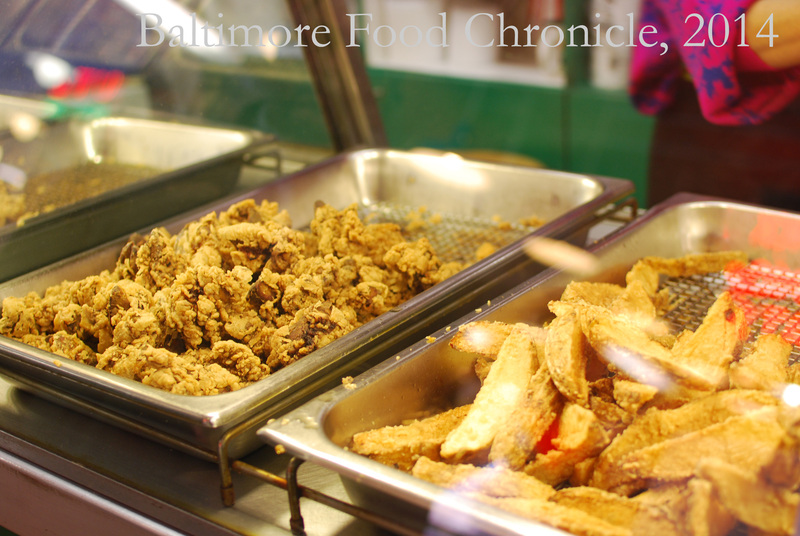 They also had the typical fried gizzards which I never eat, but many people must like because they are typically stocked at many of these stalls. 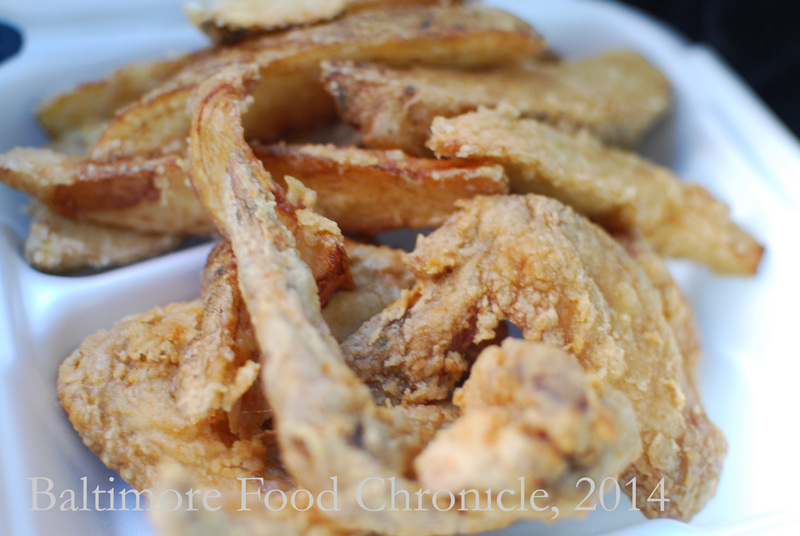 What is a gizzard anyway? How am I a nurse and not even know this? 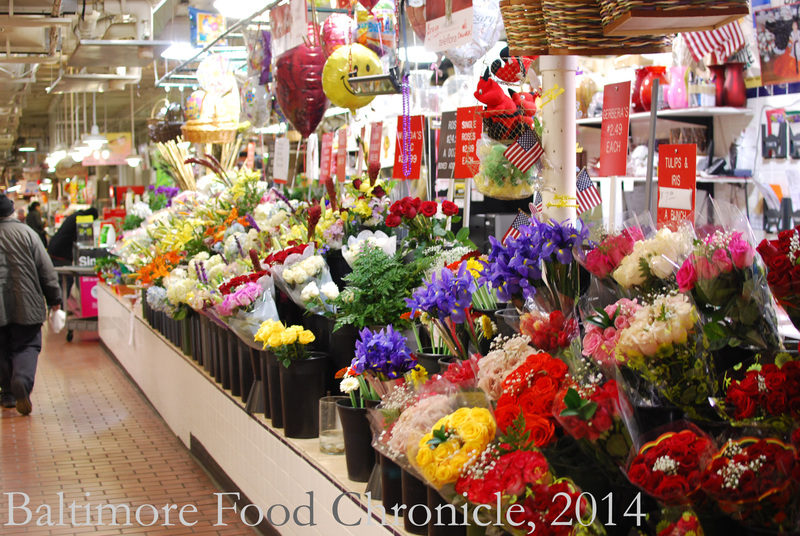 Cross Street also has a variety of real market supplies, such as fresh fruits, vegetables, flowers and fish. 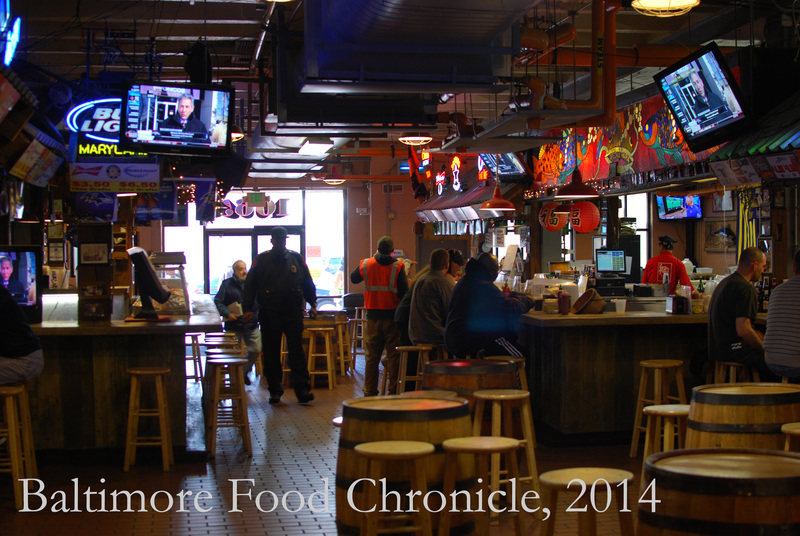 There is also Nick’s Inner Harbor Seafood, which supposedly has some of the best sushi around. 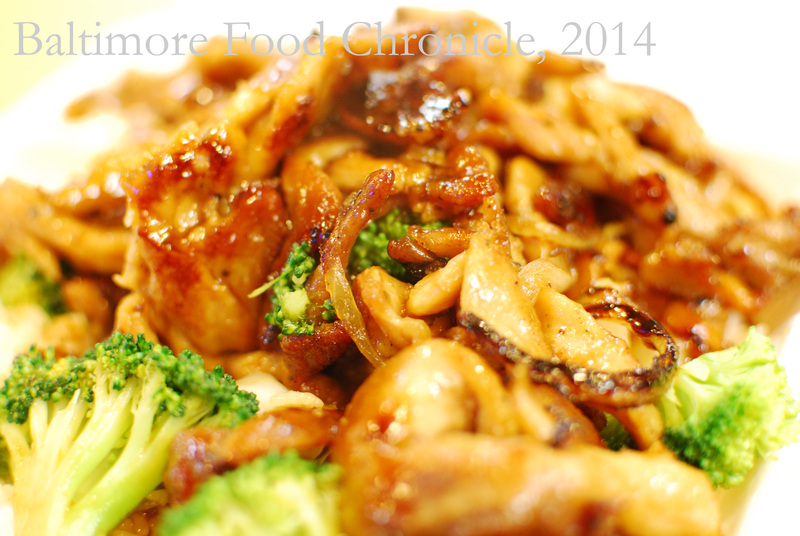 My mom used to always get Japanese food from Lexington Market, and although this particular stall has changed hands frequently I also tried the chicken teriyaki from Oishi Teriyaki, which I thought was very good. 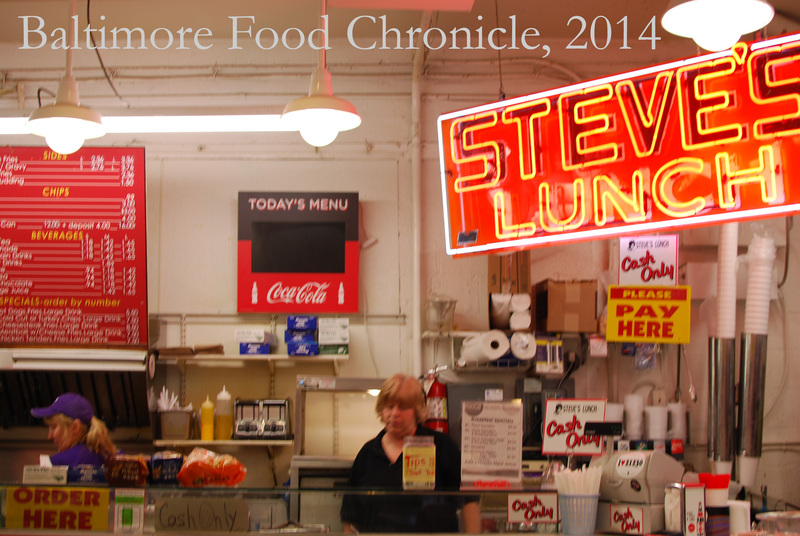 Steve’s Lunch and Big Jim’s are also good sandwhich spots, the latter serving some decent corned beef and also stocking Berger Cookies. 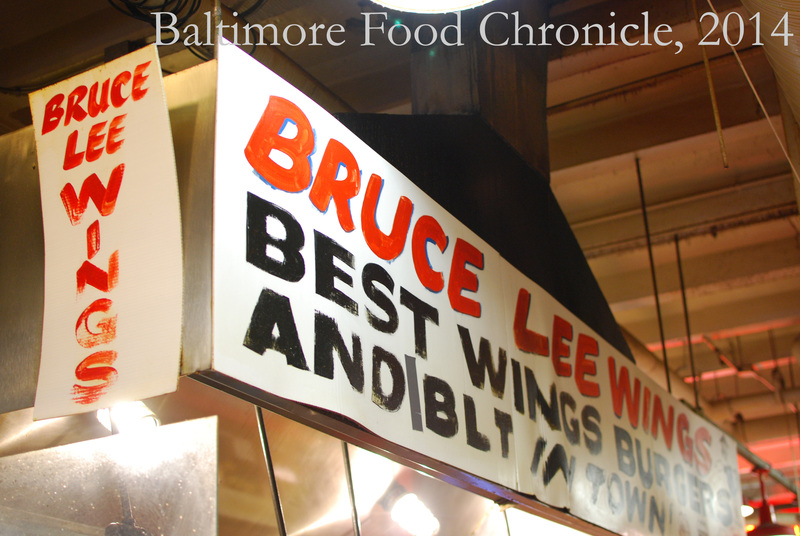 And apparently Bruce Lee makes some pretty good wings here.